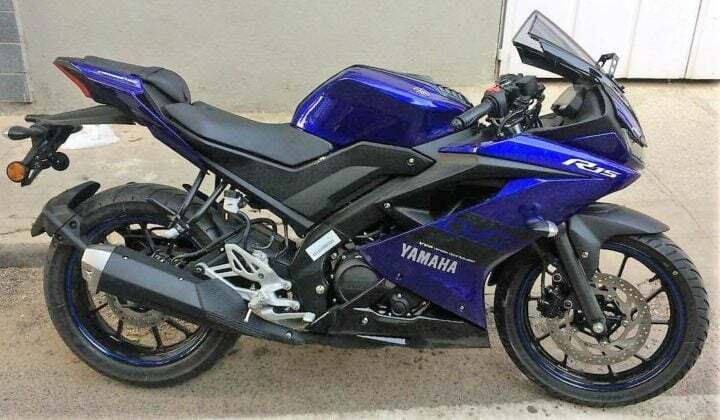 Yamaha R15 V3 is your ideal everyday sportsbike with a great mileage at an affordable price. 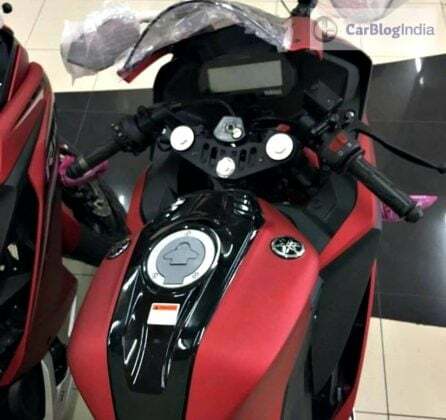 It is the most popular performance bike under Rs 3 Lakhs and also one of the cheapest ones. Check out its price, top speed, mileage and images. 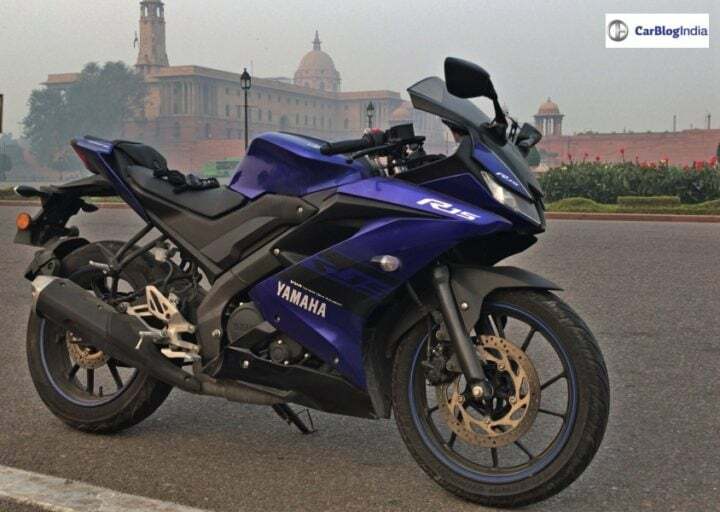 Yamaha gives out the best performance bikes and most of the bikes crave for one of them. Back at its time, it gave us RX100 as a low powered beast. Now, its low powered monster is the Yamaha R15 V3. R15 V3 is a sportsbike, no doubt. The lowered clip-on handlebars for the dedicated riding position, sharp creases and the sporty rake give it a premium sporty look. Also, it comes with Yamaha Racing Blue and Racing Grey, completing the typical performance bike look. The bike is all perfect but the lack of ABS makes it vulnerable to easy skids. Also, the dedicated riding position may not comply with many riders. The sportsbike mainly competes with Pulsar RS200, Duke 125, TVS Apache RTR 200 4V and Duke 200. Without any further ado, check out the price, features, images, colors and the top speed of the bike. 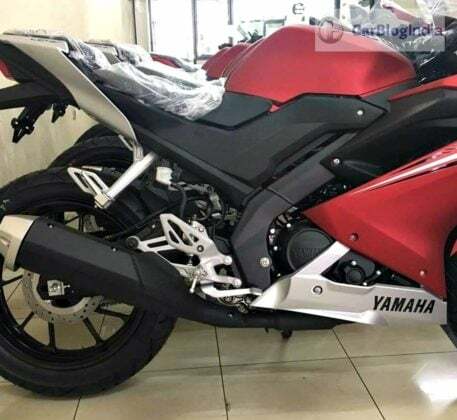 The new Yamaha R15 V 3.0 starts from Rs 1,25,000 (ex-showroom Delhi). The bike is available in only 1 variant but comes in 2 different colours. 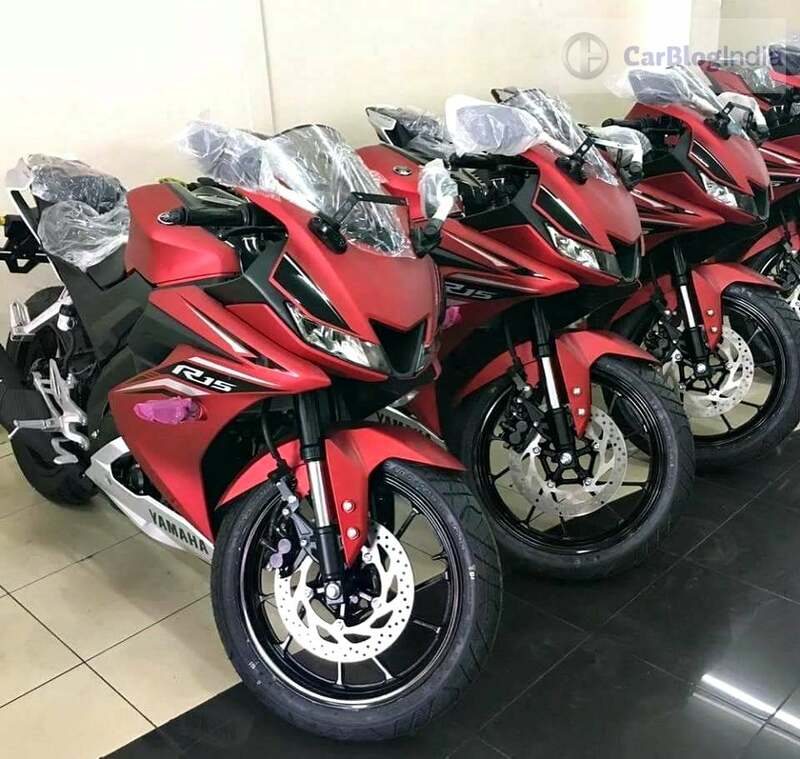 R15 V3 is priced a little higher than the previous generation. 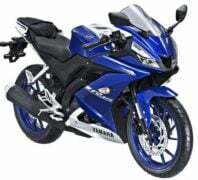 The new model Yamaha R15 Version 3.0 features a new 155.1 cc VVA SOHC engine. Peak power stands at 19.31 PS. The R15 also benefits from a slipper clutch. 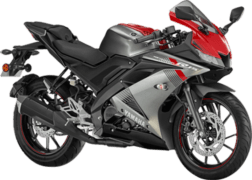 The R15 continues to have a 6-speed Manual Transmission. The India-spec model, which is based on the V2.0, gets the same swingarm and suspension. On the other hand, the international model gets a slightly different wheelbase and USD front forks. The average mileage is a bit lower than that offered by the previous model. The average figure of the mileage is recorded at 37 KMPL. Pretty decent for a 150 CC sports bike. 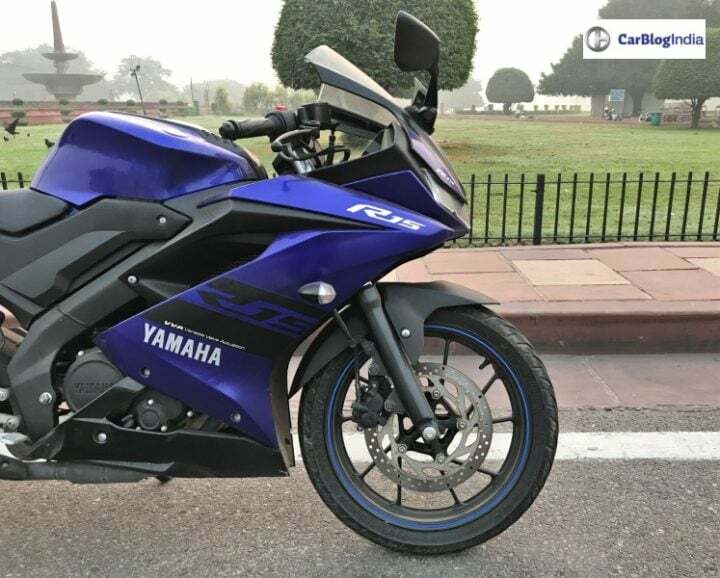 Yamaha R15 V3 claims to record the top speed at 136 KMPH. 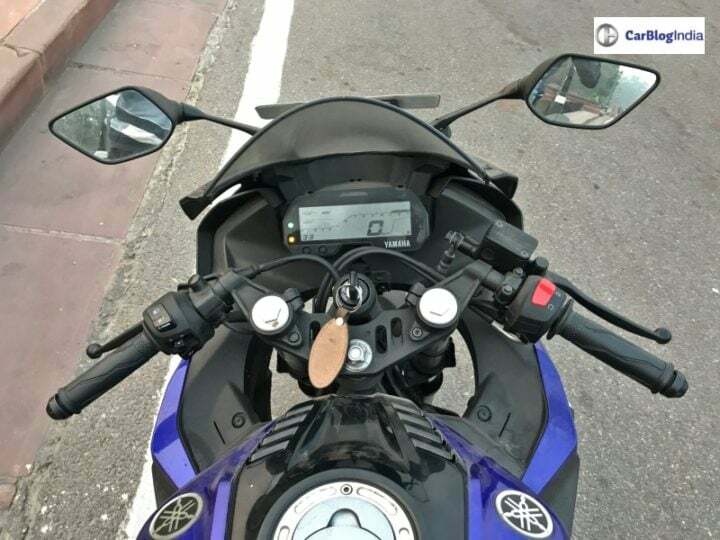 Currently, R15 gives the highest top speed figure in its segment. It clocks 0-100 KMPH in flat 12 seconds, given that it is powered just by a 150 CC engine. The bike measures 1990 mm in length, 725 mm in width and 1135 mm in height. It gets a ground clearance of 155 mm, seat height of 815 mm and wheelbase of 1325 mm. It weighs around 137 Kgs and comes with a fuel tank capacity of 11 Litres. The new Yamaha R15 V3.0 looks sportier than V2.0. Thanks to many new body panels and bits like USD forks, the Version 3.0 looks bigger. Also, new color options and sporty decals should make the bike more attractive. The ‘pièce de résistance’ are new LED headlamps. Once aboard, you’ll be quick to appreciate the new digital speedo console. Also, the bike could have a more comfortable seating position for both the rider and the pillion. It’s worth a mention that the V2.0 has faced a lot of flak for an uncomfortable pillion seat. Some design inspiration could also come from the YZF R125 and YZF R6. Between the international V3.0 and Indian model, the former looks sportier thanks to upside-down front forks and alloy foot pegs. Both of these are missing from the Indian model. The R15 V3 comes only in 1 variant. It gets a special ‘Moto GP’ edition, which is priced at Rs 5,000 more. It will continue to lock horns with the CBR150R and Suzuki Gixxer SF. 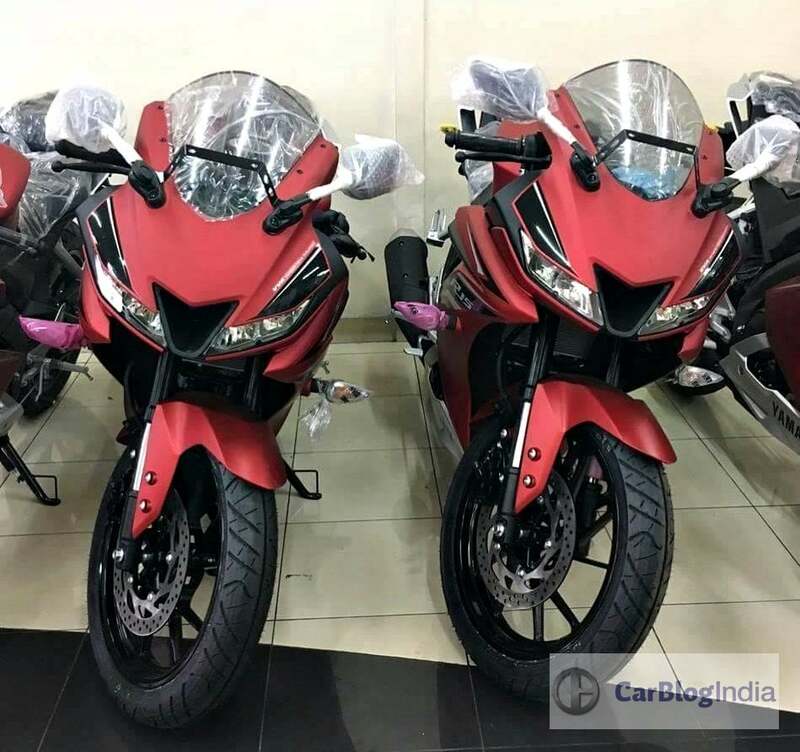 If taken into a broader concept, it can also compete with the Bajaj Pulsar RS 200 and KTM RC 200, as they both also share the sports bike body. Stay tuned to CarBlogIndia for latest news updates on the Yamaha R15 Version 3.0 Price, Launch Date, Specifications, Mileage, Top Speed, and Images.